Home > Oral Health > What is Bruxism? Are You a Clencher or a Grinder? 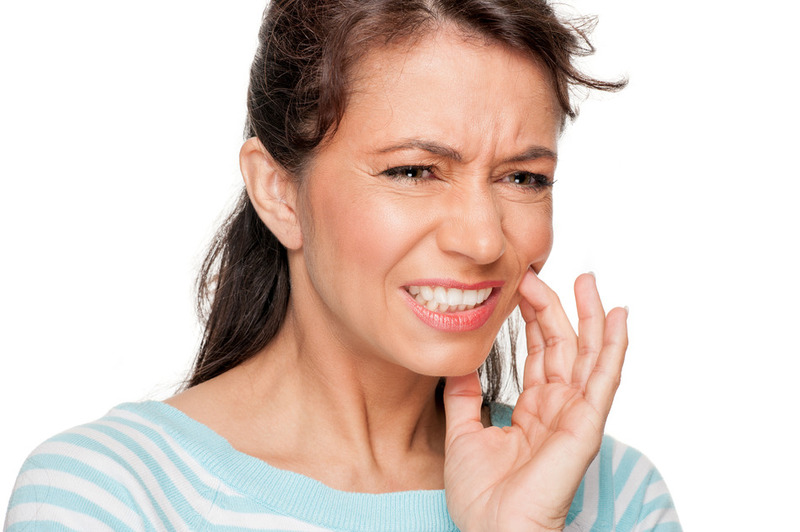 Bruxism, the clenching or grinding of the teeth, is a problem that many people have without even knowing it. If you sleep alone, or with a person who sleeps through anything, you could be causing great damage to your teeth and jaw by clenching or grinding your teeth at night. Clenching of the teeth can also occur during your waking hours, perhaps while in stressful situations. The causes of bruxism can be physical, stress-related, or a combination of the two. If your bite is off due to misaligned teeth or recent dental work, this may put stress on your entire mouth and jaw, causing you to clench or grind your teeth. Stress is also a cause – while some people may “carry” their stress in their stomach or neck, you may be letting out all your stress in your jaw and facial area by bruxing. Bruxism is also a side effect of medications such as Prozac, Zoloft and Paxil. Cracked teeth or dental fillings, or worn teeth. What can be done? A thorough exam by your Placerville dentist at the Placerville Dental Group is advised if you have any of these symptoms. It may be hard to believe you are causing your own body that much damage, but if someone says you are grinding your teeth, even if you have no pain, you need to find out why and protect your teeth and jaw. During your dental exam, your dentist may ask you about your medications, sleep habits and check for any tenderness in your jaw joint. If your problem is dental related, your bite can be fixed. If your bruxism is entirely habit or stress related, a night guard to cover and protect your teeth may be advised. Some of these symptoms can also point to TMJ, which may require other forms of treatment. Do not ignore bruxism! After you get your problem of teeth grinding or clenching under control, your sleep will improve, your pain will diminish, and your teeth will be spared further damage. Even better, your sleep partner can stop elbowing you to quit that awful grinding noise and instead go back to merely stealing all the covers.